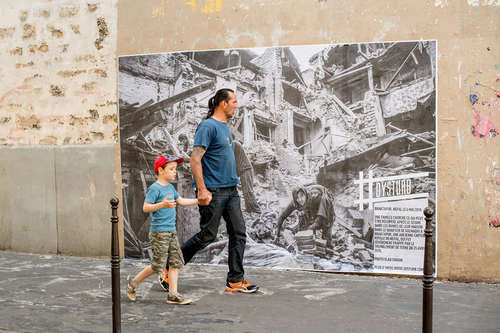 Another of my photograph (this time from devastated by earthquake Nepal) made it’s way to the urban walls as part of ‎Dysturb project. This time it’s in Paris. Thanks to Benjamin Girette and his amazing team! A family looking for the things that survived the earthquake in the rubble of their home in Golmadhi area of Bhaktapur, a former royal capital of Nepal, which was badly hit by the earthquake on April 25th, 2015.